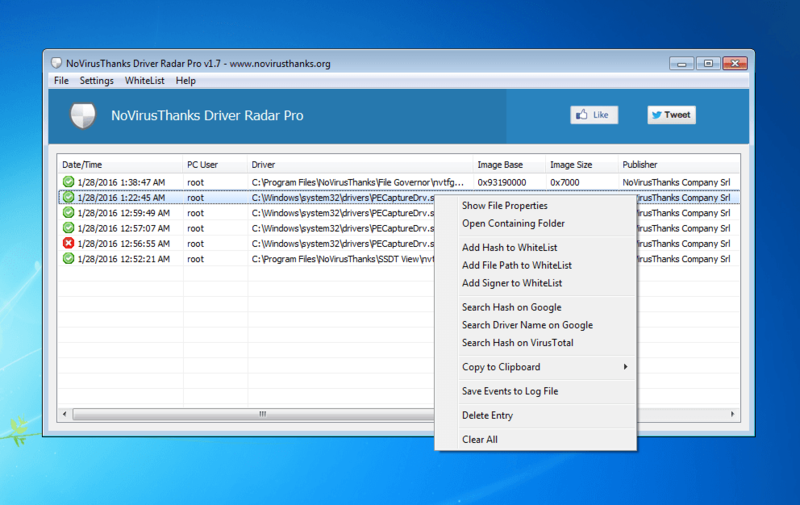 Driver Radar Pro is a very useful utility with a very simplified graphical user interface which can help you not only permit\deny the loading of kernel mode drivers via secure whitelisting methods but also allows you to safely copy the to-be-loaded driver file to a user-specified location for further analysis. Control which kernel-mode drivers are loaded in the system by allowing or blocking them. This is the perfect tool to allow or block loading of kernel-mode drivers. 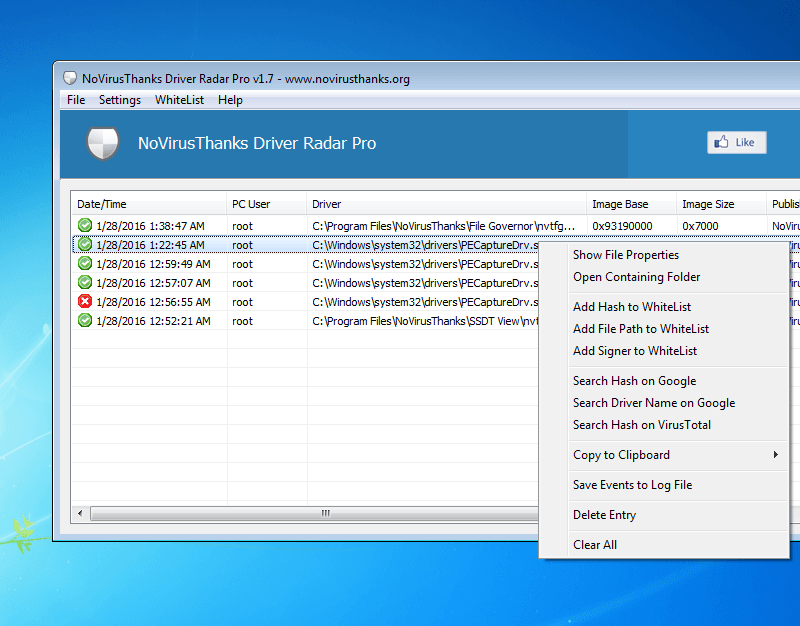 Malware analysis can easily be sped up by what Driver Radar Pro offers or perhaps you just want to make sure only whitelisted drivers and protected system drivers are allowed to be loaded. In particular you can use this tool to capture the to-be-loaded kernel-mode drivers loaded by malware and rootkits. Be aware that if a legit kernel-mode driver is blocked you may receive a Blue-Screen-of-Death (BSOD). Monitor installation of kernel-mode drivers and allow or block them. Create a whitelist of safe kernel drivers allowed to load in the system. Show detailed information about each to-be-loaded kernel-mode driver. Useful on malware analysis to capture to-be-loaded kernel drivers of rootkits.